Everyone knows someone who has that philosophic outlook on life, always questioning the social norms, asking difficult questions and relentless arguing, trust me I'm one of them ;). This philosopher's drinking glass addresses the age old question of 'is the glass half empty or half full?' 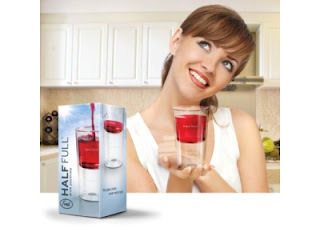 The glass is cleverly designed so that it is actually always at least half empty and when its 'full' it's both half empty and half full. It actually takes the original question and adds a great spin on it. Your philosophic friend or family member will spend hours pondering and re-pondering the question with this new glass. Purchase the Philosopher's Drinking Glass from the Packed Full of Love Online Gift Shop. The philosopher's drinking glass is just another great gift from Packed Full of Love's all Aussie online gift store. You're sure to find all kinds of gifts for him, her, any occasion and many different tastes.